Provider Films was founded in 2013 as a limited liability company (besloten vennootschap) by Ewoud Bon and Germán Gruber jr. and is based in Amsterdam, The Netherlands. The company’s main purpose is to develop and produce quality feature films set in the Caribbean looking to foster a strong filmmaking culture in the region, while cultivating local talent and reaching out to international audiences. Having met at the Utrecht School of Arts film school in The Netherlands in 2004, Germán and Ewoud started developing concepts, producing and creating successful projects together. Because of Germán’s Caribbean background, they travelled to the island of Curaçao, where they shot the documentary BRION: YU DI KORSOU (2005), for local television. THE LEGEND OF BUCHI FIL (2008), their graduation film based on the poem by Pierre Laufer called Balada di Buchi Fil, was awarded “Best Short” at the Trinidad International Film Festival in 2010 and was screened at several film festivals around the world. Their first feature film SENSEI REDENSHON (2013) became the first Papiamento-spoken feature in twenty years, and was a big success in cinemas in Curaçao, Bonaire and Aruba. It screened in several festivals, including Trinidad & Tobago Film Festival (“Special Mention of the Jury”, feature film competition), Havana International Film Festival, World Cinema Festival Amsterdam and The Americas Film Festival New York. The film was theatrically released in the Netherlands in Autumn 2015, including several weeks at the Pathé Cinemas in Amsterdam, Rotterdam and The Hague. SENSEI REDENSHON was among the Top-10 films at the box office in the whole country during its premiere week, marking a successful starting point for Provider Films. Germán was born in Caracas, Venezuela in 1980. 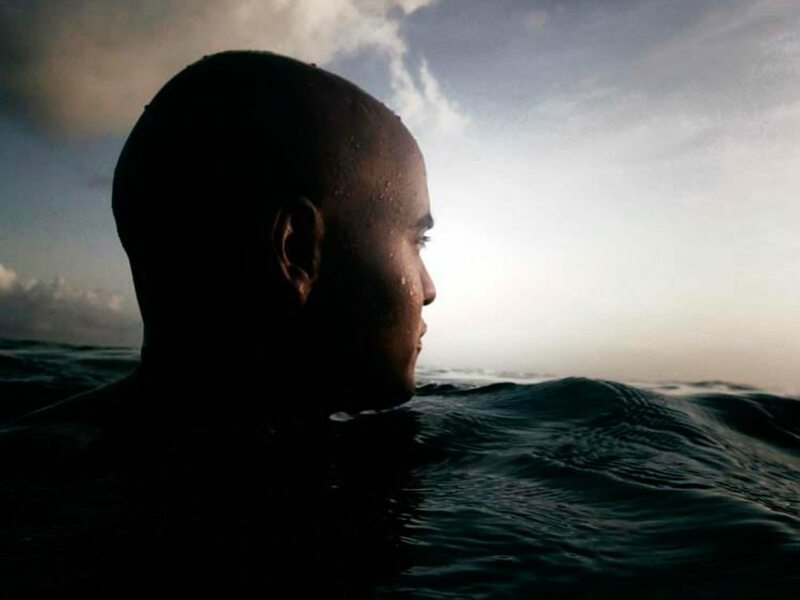 When he was 8 years old, he moved with his family to Bonaire. During his school years, Germán regularly visited his father’s workplace at the local television network and spent most of his free time watching hundreds of films. This motivated him to pursue film studies in The Netherlands, where he got accepted into the directing program at the Utrecht University of the Arts. Having gained valuable experience as writer and director abroad, he decided to return to the Caribbean and realize his plan of making films with Antillean stories in Papiamento, and bring these to international audiences. With his graduation film E LEYENDA DI BUCHI FIL, which focuses on slavery in Curaçao during colonial times, he discovered that films from the island are well received, both in the Caribbean and outside the region. 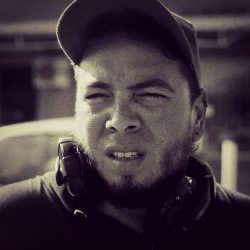 Germán has been working in the Curaçaoan audiovisual industry as a director for commercials, documentaries and institutional videos since 2008. He recently wrote, produced and directed the first locally produced dramatic TV series. His first feature as a writer-director-producer, SENSEI REDENSHON (2013), followed after three years. The film was the first full-length Papiamento-spoken feature in twenty years and it gained a lot of popularity on the islands. Its wide release in The Netherlands can be called a milestone for Dutch-Antillean cinema, being the first film in Papiamento language ever to be released in the Pathé Cinemas circuit. SENSEI REDENSHON screened several weeks in Amsterdam, Rotterdam and The Hague, and was part of the top 10 box office hits during its premiere week. Born in The Netherlands, 1983, Ewoud grew up with a great admiration for film and television. As a young kid he had is own favorite movies, which he reenacted with his friends. When he received his first photo camera as a gift, he never let go of it. He went on to study film and soon discovered his path into cinematography. At the Utrecht University of the Arts, he met Germán Gruber during their first assignment. Immediately they clicked, and decided to work together on more projects. Ewoud became fond of the Caribbean and followed Germán to Curaçao where they shot the documentary BRION: YÚ DI KORSOU and later their graduation film E LEYENDA DI BUCHI FIL. 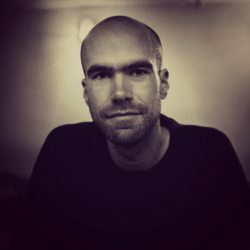 Upon returning to The Netherlands, Ewoud gained experience as a cinematographer within the Dutch film industry. He has worked as camera assistant on numerous feature films and commercials, collaborating with directors like Paul Verhoeven, cinematographers like Guido van Gennep (Winter in Wartime), and learning about shooting in countries like France, Serbia, Iceland and Ghana. As a cinematographer, he has worked in commercials and documentaries, as well as several short films, including THE BLUE BUS and CONNECTED (dir. Sanne Kortooms), ROMANCE and HABITAT (dir. Joeri Pruys). He worked closely with Germán on his debut feature SENSEI REDENSHON as cinematographer and producer. This film’s cinematography was acclaimed by the press as ‘a masterclass in Hollywood filmmaking’, ‘inventive and daring’.